Cookies and lots of 'em! 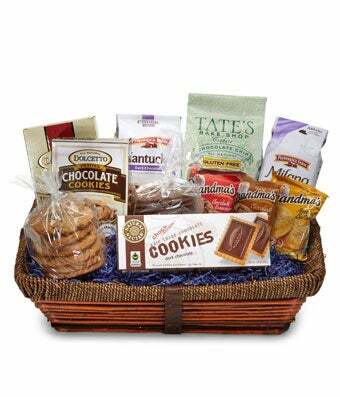 Send the Perfect Cookie Basket to a cookie lover through and through. This delicious gift is perfect for any and all occasions from expressing sympathy to celebrating a graduation. Show how much you care with cookies, hand arranged and hand delivered by a local florist to your recipient's doorstep. Please note: cookie variety may vary.